The Bible tells us that Jacob, before he passed away, blessed his children, “each one according to their blessing, he blessed them”. Now, what does that, mean?? On one level, we can explain, that every child is different from each other, and everyone has their unique way, and exclusive mission in this world. Jacob as a G-dly person, reading the characteristics of their souls, gave each one the blessing according to the blessing and the individual personality, as needed. In line with what we just said, one of the commentaries explains, “Jacob, with his power of prophecy was able to see the future and gave each one, a blessing, in line with what was coming their way, anyway”. This would mean that a blessing doesn’t really create anything. When a person has a blessing and a good thing, coming their way because they generated a positive energy as a result of smart choices, or other reasons. The bible is telling us, that a blessing adds strength, muscle, and force to draw down and move forward this energy. This is actually what the word blessing means in Hebrew. Bracha - (the word for blessing) literally means to draw down. Like an existing vine branch on a tree, pulling it down to the ground in order to plant it in the earth. While a person’s blessing only has the power to push forward what already exists, when G-d gives a blessing, this creates from the source, a goodness that did not exist before His blessing. This power to create a new blessing from the source can be generated and created, by a person, through prayer. Prayer has that power. That is why in our prayers we say, “G-d, may it be your will…. “We are asking and beseeching you, to create the will for whatever it is that we are praying for. A person is created in the form and image of G-d. Like G-d who can initiate new energies, a person through his power of prayer can create a new will and desire in G-d for things that perhaps where not in the pike before the person prayed. When a person comes before G-d, “and my soul let it be like dust before everyone” in humility, and realize it’s a partnership, and no one can do it alone. This surrender to G-d, connects us to the source of created blessings in the world, and then with His help, we can create and initiate new and good things that until then, were not possible. There is another way a person can initiate a new source for blessings, and that is when he blesses another person. The Bible says, “I will bless all those who bless you”. When a person blesses from his heart, another soul, and truly means well for him, this engenders G-ds blessings, which initiate from an infinite source, brand new supplies of goodness, for the person who gave the blessing to the other. So during this happy season, don’t look in jealousy to the other. It won’t accomplish anything worthwhile and will hurt all involved. Let us truly wish well to each and everyone, and you will be helping the other person, which will spiritually help you, and will create the proper vibes for brotherhood between all people. 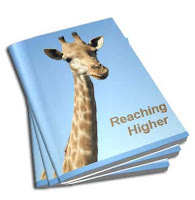 Reaching higher than where we where!! Jacob, the third of the patriarchs, is very concerned regarding his going down to Egypt in order to get food during a famine in the land of Canaan. G-d pacifies and calms him down with the words – “don’t be afraid of going down to Egypt – I will go down with you, and I will go up with you, go up”. What did G-d say that strengthened Jacob for the journey? Where do we see any power, strength and motivation in G-ds promise for all of us? When a regular person makes a promise, as sincere as he may be at that moment, he now needs to carry out the promise. There are two stages, the promise, and its manifestation, which isn’t always guaranteed. When G-d created the world the Bible tells us he did it in ten statements. “Let there be light and there was light”. “Let the ground give forth grass….” and so it was. G-ds statements don’t need a second stage for them to be carried out and materialized. The moment G-d verbalizes a command, that energy itself becomes the substance of the thing created. There is nothing that will stand in the way of its formation. At the moment G-d puts into words, and articulates His thoughts, G-d is already there where he intends to be, with no time lapse or hindrance in the way. And here is what G-d was telling Jacob. I will go down with you, I am already there with you, waiting for you in your descent. You have me, the entire way down, and you have me there even before you come down. G-d is the essence of good, and all that G-d does if for the good, therefore, going down when it is meant to be, is always with G-d, and we are not alone. It is part of G-ds plan, and is therefore part of some positive and good purpose. We have His help and assistance, even in the falling so that we don’t crush and break ourselves in the process. It goes further. In the same way that I am already there in the descent, I am already there in the ascent. If the only thing after a fall is that we return back to where we where, why go through the experience? What gain is there in all the hardship and difficulty? Therefore G-d is telling Jacob a double expression,” and I will go up with you, go up”. Your descent, when things turn out that way, is so that you should be elevated doubly, as much as a double expression of going up, higher than where you where before having fallen. The experience of falling, if viewed properly, always has planted in it – in advance to the fall, the seeds and potential of something greater than we would be or reach without the descent. This is our true source of solace and support. Knowing that it is G-d who promised to come down with us and take us higher than we where before. This thought, this reality, not only comforts us in the fall, it gives us the strength and reason to pull ourselves out of where we are, to reach even further than where we where. Chanukah is all about oil. The oil in the potato latkes and the oil in doughnuts. More importantly, the oil that miraculously lasted eight days instead of one day. In Judaism there is a basic teaching that we learn a lesson from every occurrence we experience in life, especially when it comes to such an important holiday like Chanukah. Oil has a lot of what appears to be contradictory characteristics. On the one hand in order to produce oil it must be extracted by crushing and squeezing the olive. Oil, penetrates and makes its way in to everything. Oil doesn’t mix with liquids and gravitates to the top. This is the lesson. Oil, is many times a metaphor for wisdom, since oil fuels light. The bible says a fool walks in the dark and a wise person shines with light. Oil wisdom and light; go all together, while dark and a fool, go together. Oil is produced by crushing the olive. When a person is crushed he is humbled. Only humble people, people who have a place in their heart for others and are sensitive to others, people who have empathy and compassion, produce the fuel for light and wisdom. That is why in Hebrew the word for wisdom – Chochma, can also mean, “what am I”, a sign of humility. 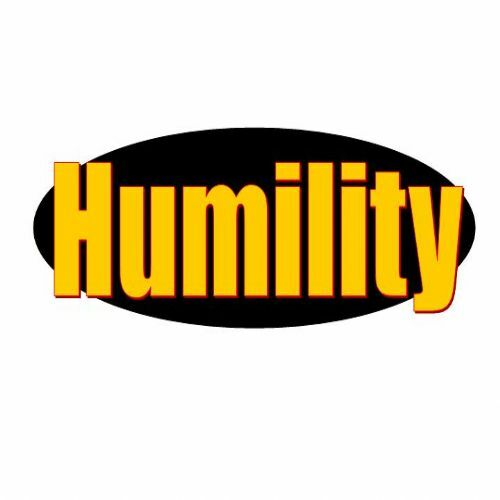 True wisdom is acquired only through the trait of being humble. 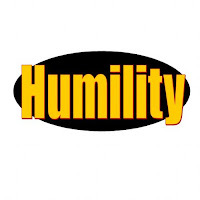 When someone has developed the characteristic of humility, the quality within oil they will be heard by others because others sense the modesty and unassuming nature that they possess. Like oil they will saturate and soak through. A person who is humble has influence, he is an example, a necessary trait to become a leader. An arrogant person who thinks it’s all about him, he is smart and everyone owes him because he deserves the credit, someone who is full of himself chases G-d away from himself, and his ego is a source of darkness and foolishness. G-d says, “I and him (an arrogant person) can not dwell together.” An arrogant person obstructs his own path to receiving and to hearing. He places obstacles in his own way for acquiring knowledge. Oil naturally gravitates to the top. The only way someone can really acquire wisdom is when they have acquired and live with the quality of humility. They don’t think they know it all. They appreciate that everyone has something unique in this world to contribute to the universe and so they learn from everyone. A humble person knows he must continuously learn, he looks out for all the lessons he can acquire on a daily basis and because of that, not only expanding his own knowledge, he learns to respect everyone and everything around him. That is why on Chanukah we “…acknowledge and give praise to His great name.” People who are humble naturally express gratitude for all the good they have in life. They recognize the miracles G-d bestows upon them all the time and take nothing for granted. People who are grateful for all they have, people who know to count their blessings, the so many of them in their lives, are happier people. Holidays are not vacations, even though that’s included as well. Holy days, are special segments of time imbued with exceptional spiritual characteristics. These unique days are opportunities to strengthen ourselves in extraordinary ways. 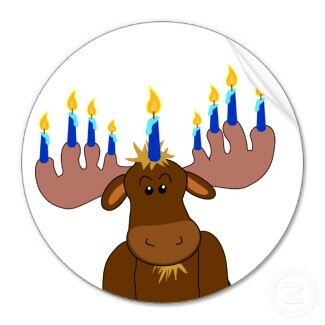 Hanukah has many dimensions to it. There is off course the celebration of the lights. A small jug of pure olive oil to last for one day, preserved with the seal of the high priest, was found for the lighting of the menorah. When lit it lasted for eight days miraculously, enough time to procure more pure oil from the hills. The Greeks who at that time entered the land of Israel and the holy Temple, left lots of oil in the Temple for the Jews to light their Menorah. The problem was that it was touched by impure hands. The Greeks/ Hellenists were saying; we don’t care that you observe your traditions but don’t include practices that can’t be explained rationally. If it can’t be explained scientifically it is backward and unacceptable. Purity and impurity is observed only because G-d commanded us to do so in his book. When we observe rituals that make no sense to us in a relationship, and we do them only because it pleases the other person, this truly displays our commitment and dedication to the other person. When a person in a relationship insists that they must always understand what they do for the other person, it must make sense to me, we are in truth serving ourselves. We are using the other person for a relationship with our self. Only when we do something for the sole purpose of doing it for them, because that’s what they asked, then we have connected and tied a relationship with the other person, as they are. There is a rule in mysticism that states, ‘The greater the quantity the smaller the quality.” The more materialistic, the less it contains spiritual and G-dly qualities. On Hanukah the miraculous prevailed and triumphed. Spirituality and G-dliness succeeded. Sure there was a big army and a strong people. There where the people who did things only that made sense. Then there was a small group of people, the Maccabees, not very strong physically but with faith in doing pure acts for G-d. The Maccabees motto was – “who is like you (G-d) amongst the powerful”. In the end, it was the people who understood the limitations of their own logic and did not become overwhelmed by the mighty and the strong, because they depended and relied on their faith, they won the day. Hanukah reminds us, that light, the true light, even if only the size of a small flame, will always prevail to chase away the empty and hollow darkness.